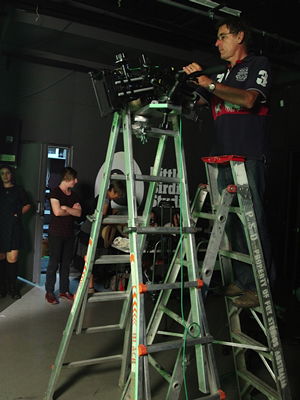 Derek has been in the television industry for over 25 years working as a cameraman, producer, director and editor. Ten of those years based in Europe working for, among others, Reuters and NBC America, travelling to most corners of the world. Derek completed an Arts degree majoring in Film and television at Curtin University in Western Australia, before starting his career in regional television in Western Australia. 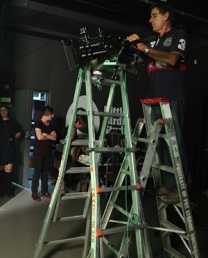 He then moved to The Australian Broadcasting Corporation, initially working as an editor on The 7.30 Report, then working as a studio director and local promotions producer before deciding that back behind a camera was where he wanted to be. He has extensive documentary, feature, advertising and corporate experience. Derek is equally comfortable in the broadcast and corporate worlds and since returning to Australia in 2000, has specialised in helping overseas companies undertaking production within Australia. Derek’s desire for constant creative challenges have taken him everywhere from war zones to underwater, from advertising to features, and even recently to the other side of the lens in a forthcoming feature film. He prides himself on providing the same level of creativity and enthusiasm for any project big or small. In his spare time Derek is a keen, if slightly inept, Equestrian rider (Eventing and Showjumping), Motorcyclist and Skier. He still strongly believes that the journey is 100% of the fun.